Basic Columbus has been working on our fitness! We want you to join us. Work on your fitness. And try a hot new studio in the Short North. 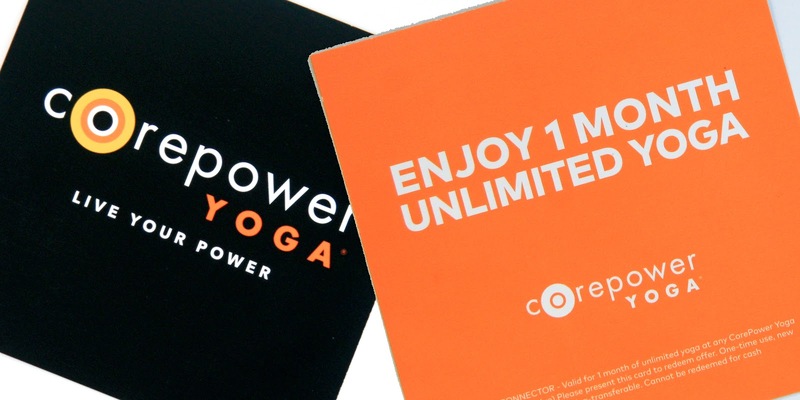 Core Power Yoga & Basic Columbus are linking up to bring you an evening of fun and free yoga. What could be better? Well, maybe if there was booze after class, that would be better, we will work on that! We are hosting a little get together at Core Power Yoga for some friends, other Columbus bloggers and other Columbus VIPs. I say VIP because, lets be real, there is never any guarantee who may make an appearance at a Basic Columbus event. Ahem. Everybody who attends this event gets 1 week of free yoga at CPY Short North. Redeemable any week of their choosing. And you don’t necessarily need to be invited to this event. You could win a one-way ticket for you and a friend to yoga town! It keeps getting better, I know. Entering is easy. Just keep reading…. MUST be following Basic Columbus on Instagram. Under the Giveaway post (^^^ look for this picture on Instagram) TAG A FRIEND. If your friend follows Basic Columbus you will BOTH be entered for a chance to win the grand prize. Winner will be SELECTED Friday, July 8th. 1 Winner will receive a pass for 1 Month of UNLIMITED Yoga at CPY Short North. As well as the chance to bring a friend and attend a FUN Yoga class with Basic Columbus and several other Columbus area Bloggers & VIPs. Sunday July 10th 4:30-5:30 is this VIP event I keep speaking of. Mostly it’s going to be a fun way to get a bunch of people we know, kinda know, and maybe don’t really know but want to get to know better, all in a room to sweat together. Fun, right? We also think everyone should check out this Yoga studio for themselves, because we seriously LOVE it. Heart emoji. We will be doing a Yoga Sculpt class with Colleen, July 10th. Don’t let either of those words scare you away from participating. It will be fun! Mostly. Core Power Yoga is located at 14 W Millay Alley. If you walk straight out of the front of The Joseph hotel and cross the street, down the side of Anthropology is a small alley you might not even realize is there. There on your right you will find CPY quietly tucked in, waiting to welcome you in and make you sweat. The studio offers a variety of classes. Basic yoga. yoga sculpt, which incorporates weights and more of a metabolism boosting focused class. Yoga 2 for the more advances yogis, and Hot Power Fusion which is exactly what it sounds like, hot yoga. Not a single one of the workouts will disappoint you. Try them all! We did! Here is the schedule for the Short North location. You know we stop at every clothing rack we see. 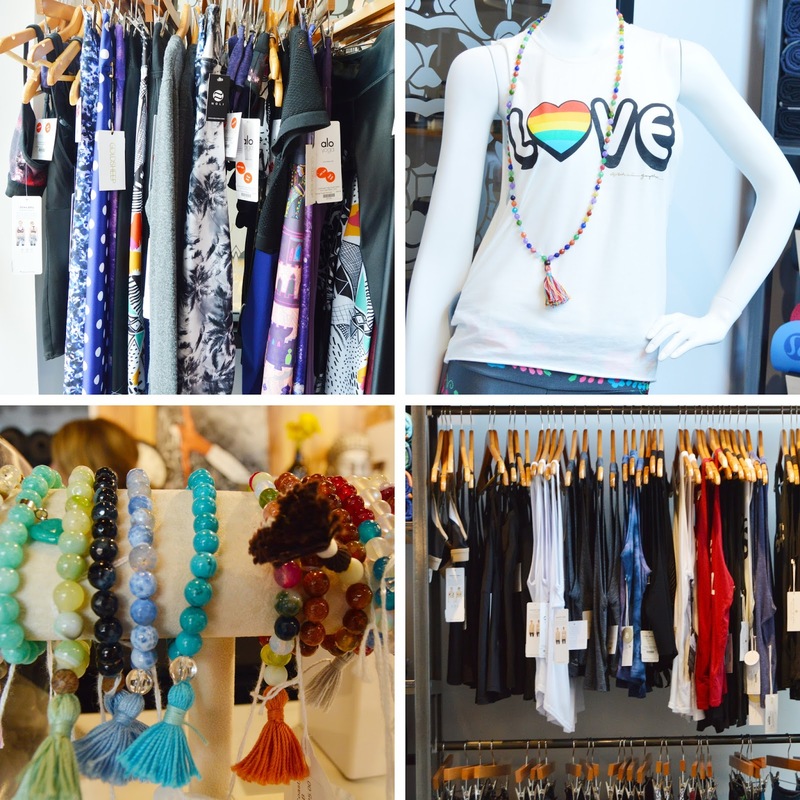 You can even get your shop on at CPY Short North! Just an average day, making people sweat. Basically, just like their Mom’s. This is a good view of the little alley CPY is located in we referenced above. You can see in the picture in the background, is The Joseph to give you some perspective, with CPY right there on your left. These are some of the familiar faces that might greet you at CPY Short North. Did you think you were going to get all the way through this post and we weren’t going to mention Sting?!?! We’ve been mentioning Sting nonstop for the past week, no end in sight. In all honesty though, can we talk about how I meet Sting and decide to flex every single one of my 67,345 chins. Every time I look at this picture I don’t see Sting- I see chins. Glad one of us looks amazing in this picture though. Way to hold it down for Team Basic, Amber! Now go forth, listen to Sting, and enter Basic Columbus’s GIVEAWAY on Instagram!